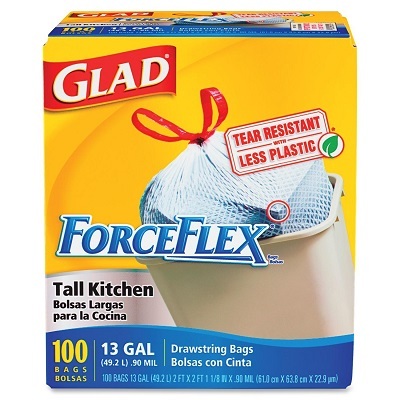 Click Here to Head over to the Woman’s Day website for your chance to win 1 of 5 prize packs consisting of a one-year supply (12 boxes/six of each) of Glad Tall Kitchen Compostable and Glad ForceFlex Tall Kitchen Trash Bags ($100), an Umbra Venti trash can ($35) and an Umbra recycling can ($15). (Approx. retail value: $150.00). Limit of 1 entry per person per day. Contest ends on July 7, 2014.